When my friend author Stacy Green came with the idea of a blog hop to highlight those of us who write apocalyptic fiction I jumped at the chance. Well, it might not be the end of the world quite yet. But those Mayans thought they knew a thing or two didn’t they? I don’t think it’ll end in a big bang. 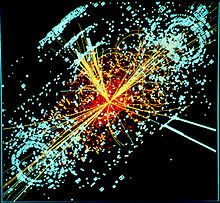 Of course I could be wrong and a meteor with our name on it is even now winging it’s lethal way towards us. As long as it’s quick and painless I’m okay with that, she says. But what if the end is not quick and is very far from painless? What if there’s a virulent outbreak of a swine/avian flu strain? What if the outbreak of that flu is not a mistake but a deliberate act upon humanity? What if the earth’s polarity is switching from north to south? When that happens we experience increased seismic activity, birds drop from the sky, thousands of fish are washed upon the shore, mammals all over the world are beached, lost and die a slow agonising death. Even worse are the changes in our climate, biblical floods, drought, supercell hurricanes meeting supercell tornadoes. Sound familiar to you? So do I have your attention now? Thought so. Against this background is set my paranormal Vampyre Legal Chronicles series. In this series I’m destroying the world – always a fun thing for an author to do – before I invite readers into ‘New Manhattan’ in 2049 in my Untouchable series, which is set in an urban future. In this future our hero is a scientist who owns a global pharmaceutical company and develops a vaccine just in the nick of time before mankind is wiped from the earth. He also just happens to be a Vampyre Precedential Elder. And that’s all I’m going to say about it because I’m launching the series late in 2013 and it’s going to be a doozy 🙂 You’ll love the heroine too. She has a thing for high heels and is that rare thing an Untouchable Witch who just happens to be a Commander in The World Health Protectorate. Can you see where I’m going with this? Anyway, back to the present and uncovering The Big Bad Guy! 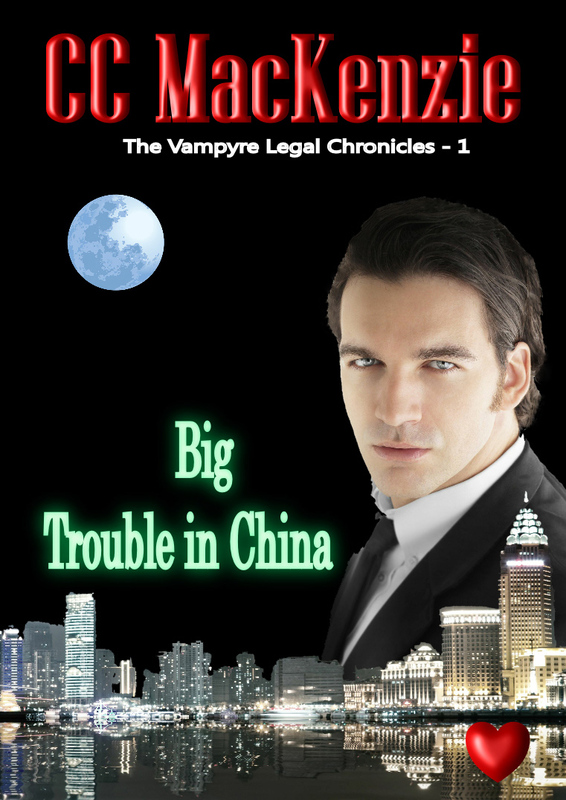 Big Trouble in China (available on Amazon and Smashwords) is book one of the Vampyre Legal Chronicles and is out now, book two, Dirty Little Secrets is out very soon and book three, Gia’s Song, is out in January. It’s going to take twelve episodes but these Vampyre lawyers need to join forces with their mortal enemy the Vampyre Witch, Ezekiel, to uncover a dastardly plot of conspiracy and revenge against them and humanity. The stories are pure paranormal romance with adventure, heartbreak, thrills and spills. And so far my readers are having a good time and some romance readers have crossed genres, which has been a big thrill! Since it’s Chrimbo want a chance to win an iTunes gift card for $35.00????? Some of my author friends from the WG2E Street Team have banded together for the Last Weekend on Earth to give you some great reads and a chance to win! Check out their blogs for more info on their books. What would you do if you had four days to go before THE END? You know I love to hear from you and these should be good! And I also just want to say please stay tuned for December the 21st because do I have an extra special Chrimbo gift for you which is going to BLOW you all away. Seriously. For those of you with brand spanking new Ereaders for your honey, then make a date in your diary to be here because you are not going to get this chance again. You’re gonna love me for this. This entry was posted in The End Of The World, The Vampyre Legal Chronicles and tagged A Stormy Spring, Big Trouble In China, C C MacKenzie, Ludlow Hall Series, Paranormal Series, Reckless Nights in Rome, romance, Run Rosie Run, vampire by CC MacKenzie. Bookmark the permalink. Nigh-ce take on the upcoming kerfluffery. Maya compliments. All of these books sound awesome, Christine! I know what I’m getting for Christmas!!! Blimey CC. Romance, vampires and hard science. I’m going to have to do some revising before your next post! Strangely there have been two meteorites passing the earth this week. One was a couple miles wide but a reasonably safe 4 million miles away. The other was only discovered a few days ago and got so close it was closer than the moon! It wasn’t that big (100m across) but it was flying (ha ha) – 13km per second! I saw that there were meteorites passing the earth! Aww, ski and surf? How lovely! And yes, you can quite happily leave the nighttime to my very active imagination! How are you my dear friend? I hope everyone is well at your house and that you enjoy this time with your family. I leave you before I end up causing too much disruption and chaos. And though I do love skiing and surf, I do not wish meteorites. I am well and will enjoy my time with my family! And now I will be reading this book! Love the themes/ideas. I think the whole Mayan thing is silly, as is the Zombie idea, but a biological weapon or virus like the 1918 flu wouldn’t surprise me – not on the 21st, but some time. It’s probably inevitable. In the meantime, live every day like it’s your last! It’s funny because I wrote the outline for the series over five years ago and H has decided I’m spooky because so much has come to pass. Maybe Vampyres are real after all, lol! “Vampyre Precedential Elder” – hmm, that sounds interesting (not using another word :P). Well, the Mayans actually did not predict the end of the world. They just ended their calendar. And they mentioned that it is the end of the cycle, but that another cycle (actually a better one) will commence. And welcome! Yes, the Mayans probably found it impossible to imagine that far into the future. Pity they hadn’t stumbled upon alternative realities. I bet they’d have had a lot of fun with those. Nice post on the possibilities to come. 🙂 Lots of intriguing books there.